Pictured above: The original, The Villages, FL. The inspiration for this issue is (once again) a fantastic reader suggestion: "We know about The Villages" near Ocala (and the place sounds great! ), but are there other communities like it should we consider?" 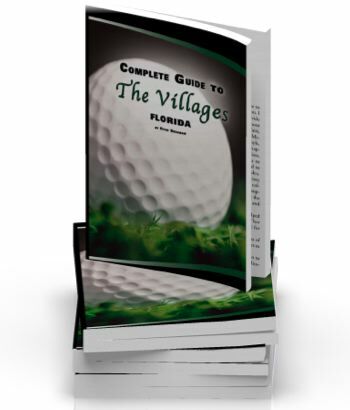 To clarify assumptions about what kind of communities might be considered competitive, we are assuming they would have to be large (The Villages has 75,000 residents), aimed at active adults, and have extensive facilities for their residents. The good news is that there are many communities that might fit that bill, in fact there are enough that we will cover this topic in installments. This is Installment 1, focusing on the east coast competition. Note: "Village" is a fairly generic term that is often associated with retirement. Particularly in Australia, retirement communities are commonly called retirement villages. These communities represent just a small sample of the very large active adult communities that are available in the U.S. Our National Directory features reviews of almost 1200 active communities - of all types and sizes. Take some time exploring that directory to find places that float your boat. Their are actually 4 Century Villages in Southern Florida; in Palm Beach, Deerfield Beach, Pembroke Pines, and Boca Raton (all east coast). In some ways CV has superior locations to TV, as they are much closer to beaches and bigger towns. They are also really big - over 500 clubs, 100,000 sq.ft. clubhouses, and every form of recreation you can think of. If you are looking for an active adult community that is a bit smaller, and/or not in Florida, you open up other choices. One of the more interesting ones is Tellico Village in Loudon, TN. Although just a fraction of the size of The Villages, it does offer a wide range of amenities: a large lake with marina, 3 golf courses, and proximity to Knoxville. Over on the west coast of Florida you will find Sun City Center. This is also a well established community, in fact it no longer has a sales office (use your realtor). This Sun City has 3 campuses with clubs, 8 golf courses, and lots more. We haven&apos;t actually visited here, but the description makes it sound like the average age is a bit older than the other communities reviewed. 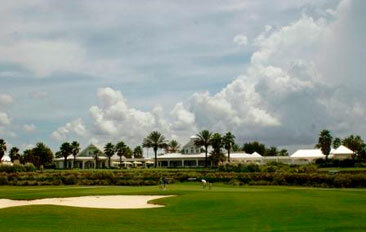 This community, our newest Showcase Community, is very, very close geographically to The Villages (8 miles). Although it is a much smaller community, it has other important distinctions. Lake Weir is "toy-friendly" - and it has no HOA. Facebook friends that is. Become a fan of Topretirements at Facebook and get more helpful updates as we post there. 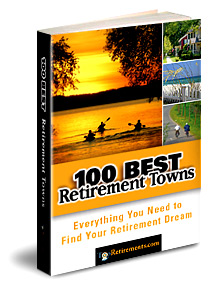 You might also win a free copy of our "100 Best Retirement Towns" eBook. Looking for a custom retirement report? Take our free, 10 question Retirement Ranger quiz and narrow down your possibilities. For example, select only towns in the southeast, or only college towns. Or, ask for towns with higher than 40 degrees average January temperature. (Note: if you have already registered at Topretirements you must login using the user name associated with your email address. Use Help or Contact us if you have trouble). Want More Information about the Villages? What is the Best Mid-Atlantic Retirement State?